In 1891, at the young age of 4, Julian began to demonstrate his fascination with plants and animals and had become a knowledgeable bird watcher by 8. Eventually he attended Eton private school where he first began his study of zoology. 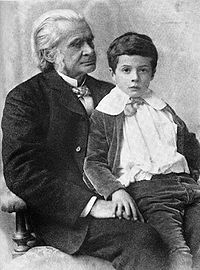 In 1906, Huxley spent the summer in Heidelberg where he met the experimental embryologist Hans Drieshe who would highly influence the course of Huxley’s biological study. In Heidelberg, Huxley also began studying German in preparation for further study of Zoology at Oxford, as current scientific literature was often in the language. In 1909, Huxley graduated with an honors first class B.A. and a penchant for urban spelunking. As a hobby in college, he would often scale rooftops and buildings in the dead of night with his friends for fun. After graduation, Huxley departed to his first research position at the Biological Station in Naples where he began to study cell-biology and reproduction. 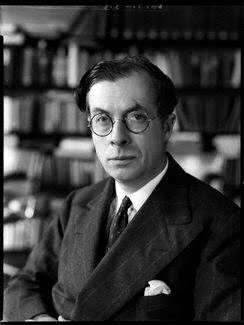 In 1910, Huxley returned to London become a lecturer at Oxford and began to study the courtship behavior of birds. Through his studies, Huxley pioneered the science of ethology and made key observations of the process of sexual selection. In 1912, at the age of 25 he was offered the Biology Department Chair at the newly founded Rice University in Houston, Texas along with a considerable raise in salary to 750 Euros. Huxley accepted the position and requested a preparatory-year in Germany. 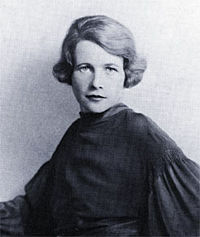 At Rice, Huxley implemented a basic science curriculum in physics and chemistry with electives in botany, zoology and physiology. He also required science students to take at least one course in English because Huxley strongly believed that proper communication was essential to science. This lifelong emphasis on the dissemination of science, which he first learned from his grandfather T.H., would become a recurrent theme in the later course of his life. 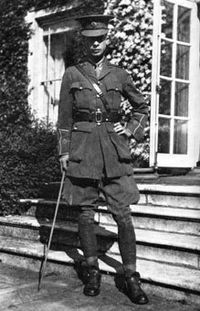 By 1915, Huxley had grown restless in Texas and decided to head back to England to help with the war effort. Initially he took up a position in the censor’s office where he screened mail until enlisting in the Army Service Corps in 1917. However, his prior health history didn’t allow him to be placed in active duty so he transferred to Army Intelligence until his unit was formally disbanded in 1918. Huxley then took up a position at Oxford as a fellow in Zoology at New College and a senior demonstrator in the Department of Zoology. Finally, at age 32, Huxley decided to setting down and married Juliet Baillot after a short engagement in March 1919. During this stay at Oxford, Huxley focused on science and became good friends with a physiology fellow named J.B.S. Haldane who would become a prominent leftist biologist. In 1934, Huxley produced a short documentary "The Secret Life of Gannets," (In Video Section), which was intended to educate the public about this particular species of bird. It was one of the first natural documentaries and went on to win a 1938 Academy Award. In 1929, Huxley first visited Africa in order to deal with the educational problems and needs of the African people and formulated a series of questions in response. I) How far is the African individual capable of improvement, of profiting by education? II) Can we free tropical Africa of malaria, sleeping sickness, plague, relapsing fever, dysentery, and the rest? III) Will the black races blindly copy the white, or will they develop a new civilian of their own? IV) Is Christianity a good religion for the African? V) Who were the prehistoric inhabitants of tropical Africa, and what were the series of event by which the present tribes reached their present status? VI) Will game and game reserves continue to exist on the grand scale, or must they dwindle and disappear before modern firearms and the white man’s economic greed? VII) What was the intention of the British Government with regard to the African’s right to vote? Huxley's approach was different from previous observers as he focused on both the improvement of Africa and of its people. Huxley posed questions relating to the future growth and independence of Africa itself, rather than its continued exploitation under the British Empire. This type of thinking represents Huxley's philosophy of Biological Humanism. 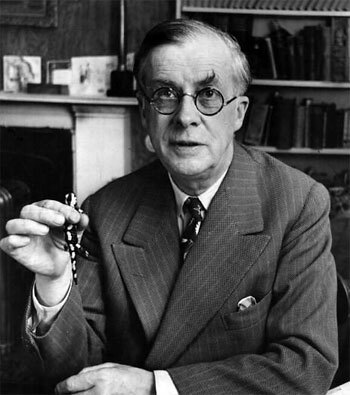 1935 Huxley was appointed Secretary of the Zoological Society of London, which he held until being abruptly dismissed in 1942. Huxley had never gotten off to a good start with the Zoological Society Council who had dismissed many of his ideas. In 1941, he was invited to go on a lecturing tour in the United States and when requesting a period of absence from the Council, he was informed the choice was in his own hands. Huxley decided to go on tour and in 1942 he was officially relieved of his position as Secretary. The lecture tour in America began quite successfully, but in a interview Huxley was misquoted as saying the US should go to war, which stirred a great deal of public controversy. However, with the subsequent attack on Pearl Harbor any signs of Huxley's tarnished-image in the US quickly vanished. ﻿In 1942 the Conference of Allied Ministers of Education met in London to recommend that a specialized international agency was to be formed, but they did not consider science. Then in 1944, Huxley along with Joseph Needman approached then Minister of Education, R.A. Butler and petitioned for the inclusion of science and the expansion of UNECO into UNESCO. Huxley served as Secretary-General for two years until 1948 where he officially stepped down but remained active in world politics. The Secretary-General had originally been a 6 year position but due to US complaints (likely aimed at Huxley for his leftist opinions) the term had been shortened to 2. Throughout the remainder of his life, Huxley served as an advocate for global education and a champion of the Evolutionary Synthesis (the new science of evolution which he had coined). Most notably Huxley was a strong critic of Lysenkoism in Russia and his criticism was a major contributor to the downfall of the pseudo-scientific theory. After 1950, Huxley focused on conservation and the general improvement of Africa until his death in 1975. To what extent are Eugenic ideals present in modern society? Created by Tony G and Liz K. Awesome Inc. theme. Theme images by Ollustrator. Powered by Blogger.